Posted in Bright Ideas / Blog on March 26, 2019. Staying on top of your business’ online reputation is a time-consuming and never-ending pursuit. You need to respond to reviews in a timely manner, spot trends within feedback, and address issues that are negatively impacting your reputation. On top of that, you also need to be generating new reviews to help attract customers and stay ahead of the competition. Well, now imagine doing this as a marketer for business with hundreds or thousands of locations. Reputation management at this scale is sizeable problem for the time-poor marketer. Getting full visibility on review data is a major hurdle—especially if you’re managing a reputation strategy across multiple locations or clients. Currently, the tools available to get this information at scale are limited. Google My Business only shows you when a location has received a new review—you aren’t even able to see if it’s positive or negative. And of course, Google is just one of the many sites where your customers will be leaving reviews. To stay in control of your online reputation, you need to be able to see the big picture at all times. Today we’re announcing an upgrade to our Reputation Manager product that will empower marketers to take full control of their online reputation, no matter the size and scale of their businesses. Our Enhanced Overview page is now packed with rich data and filtering functionality to transform how you monitor and manage your reputation at scale. Take a look at the video below for a quick overview. The Overview dashboard now shows key metrics on each location so you can quickly understand how each location is performing, what’s changed, and what needs attention. These include total and recent reviews count, top sources, recent rating change, and average rating. 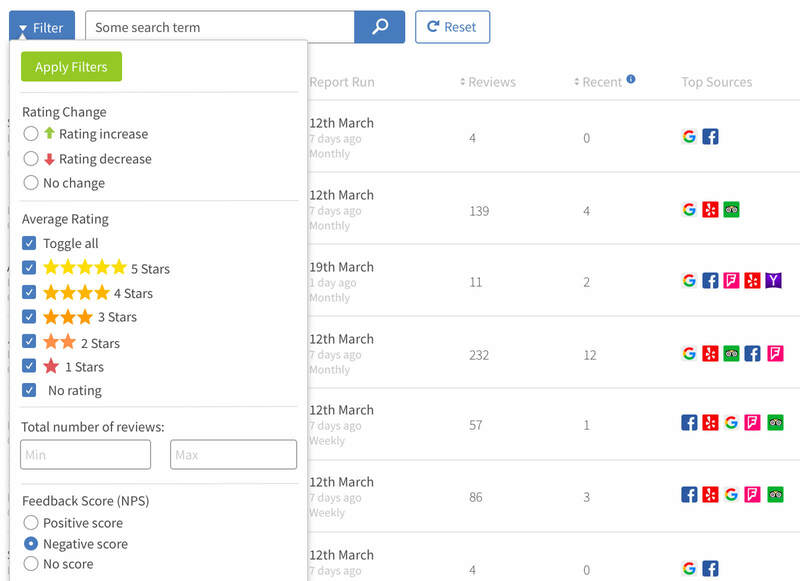 We’ve added the ability to filter locations based on average star rating, number of reviews, and whether their average rating has changed recently. You can quickly sort your locations across each metric. This will help you identify locations that are short on reviews or those that have had a sudden dip in average ratings. 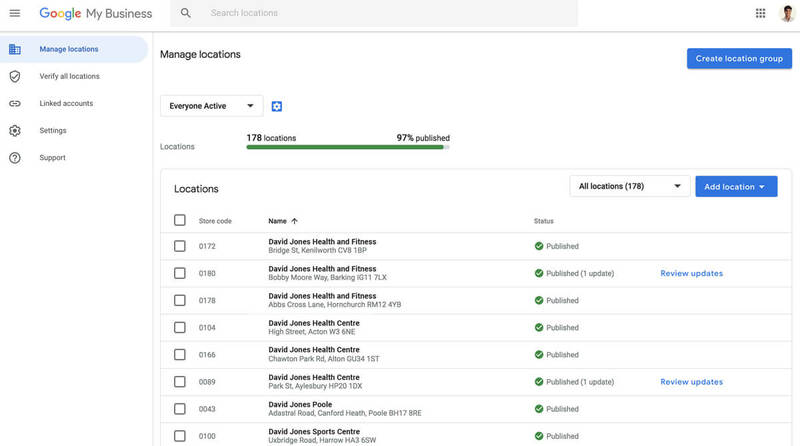 The Enhanced Overview will aggregate all your review data for each location across every major site in a single dashboard. Understanding brand reputation at scale has never been easier. Rank your best performing locations based on what’s important to you. Understand what’s driving success so you can feed it into your overall strategy. See which locations have seen a big shift in reputation since your previous report. Now you can quickly react to wider issues that could be harming a location’s reputation. Having all your data in one place will save countless hours lost to gathering and analyzing data across multiple review sites. Spend less time doing manual data analysis and more time discovering insights and positively impacting your reputation. Use filters to hone in on the locations that need some love. These could be locations with a low average review rating or those lacking reviews compared to other locations. 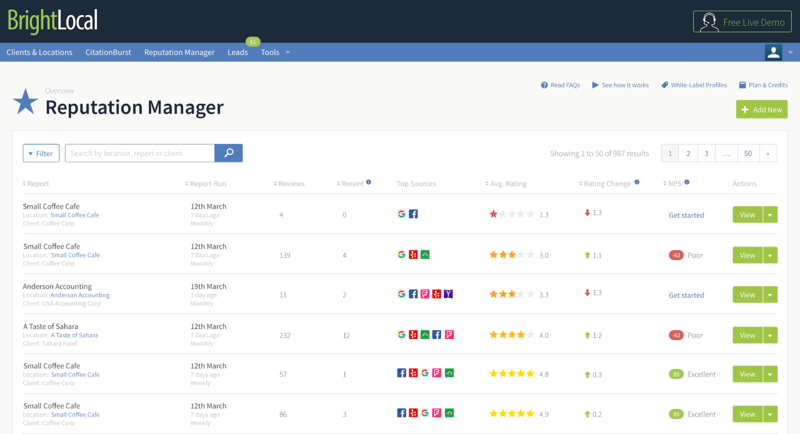 Have you recently run a ‘Get Reviews’ campaign within Reputation Manager? The Enhanced Overview will show how many new reviews you’ve gained for each location, the campaign NPS score (going live this week), and how that’s impacted the average rating. The Enhanced Overview is now live within the BrightLocal platform. Simply head to your ‘Reputation Management’ overview page to see the improvements in action—there’s a good chance you’ll uncover new insights right away. If you’d like to learn more, there’s additional information available on our HelpCenter. If you’re not yet a BrightLocal customer, then you can sign up for a free 14 day trial. That will give you plenty of time to fully test out our Reputation Management product and uncover new insights about your brand reputation. See the big picture. Take control of reputation at scale.